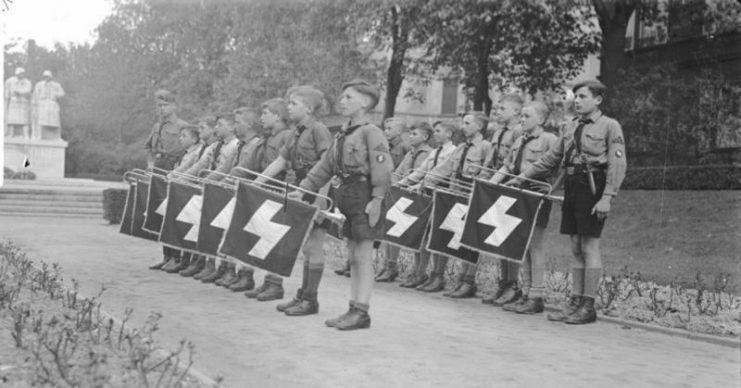 A new exhibition opened recently in the German city of Bielefeld, showing the dark underbelly of the famed Hitler Youth Movement. Using recorded testimonials, books, films, posters and other propaganda material the exhibition shows how the Nazis lured German children into the official Youth Leagues by offering sweets, comics, and camping trips. Following WWI, which left the German nation reeling, poverty was rampant and unemployment was at record levels. 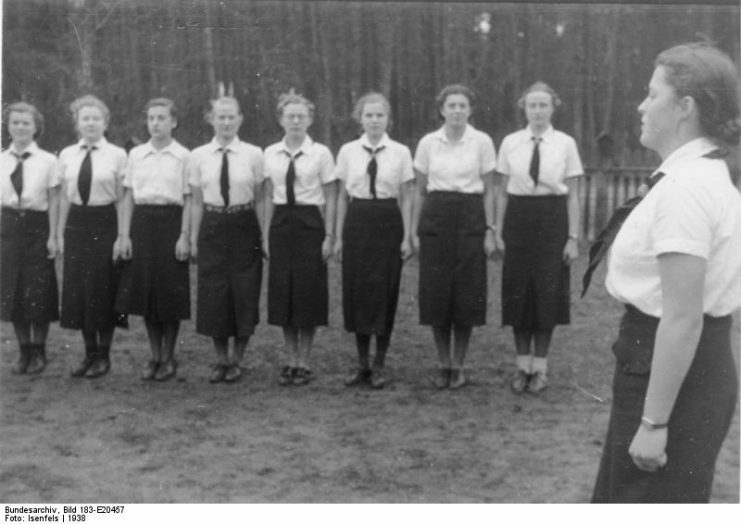 As a consequence, children suffered greatly during this period, and the birth of the Hitler Youth and League of German Girls (BDM) in 1936 promised to build character, undertake wholesome activities and grow camaraderie amongst the youth. The meetings were obligatory for all German youths between the ages of ten and eighteen, and those that did not join faced social ostracism and may even be sent to a concentration camp. 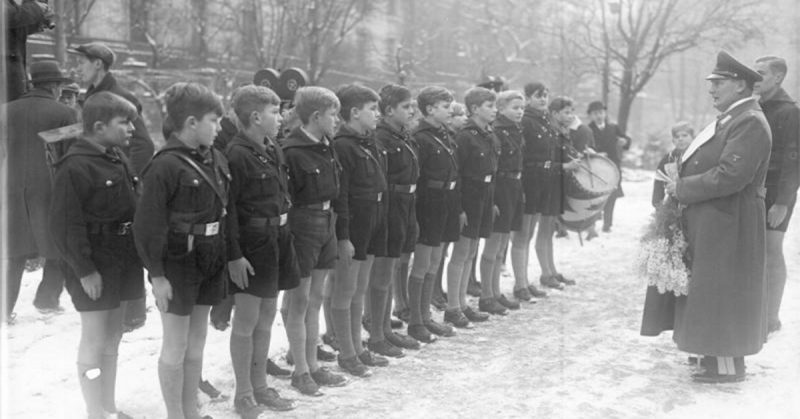 Under the guise of having fun, these leagues essentially brainwashed millions of young Germans to accept the Nazi doctrine and follow Hitler with slavish devotion. The exhibition sheds light on some of the darker consequences of these gatherings, where mixed-gender events such as the Nuremberg Rallies resulted in hundreds of teenage pregnancies. At the 1936 Rally, around nine hundred girls fell pregnant to the utter horror of the puritanical Nazi hierarchy. How many of these girls fell pregnant as a result of sexual molestation is not recorded, but the number of unwed mothers led the Party to order the unwed girls to have abortions. 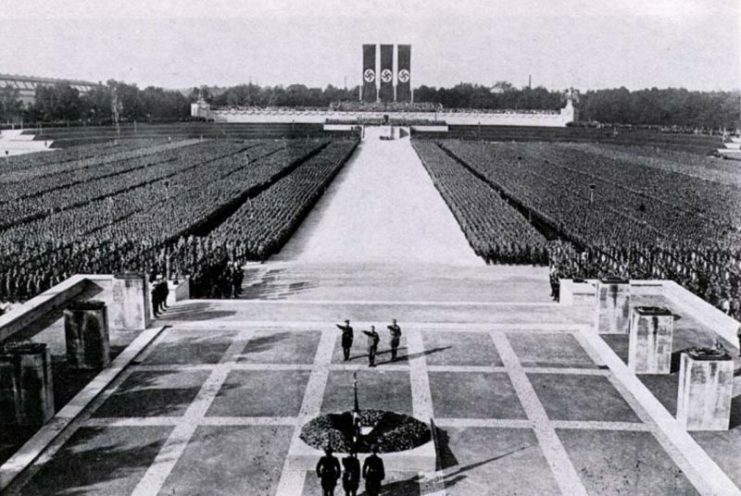 Nazi party rally grounds 1934. Other repulsive examples of how far the Nazi Party was prepared to go in its drive to impose its will have been highlighted by the exhibition. For instance, it is not well known that the Nazis hanged youths that had come out in opposition to the official Party leagues. The official brainwashing did not reach all young people, and there were many that rebelled against the official Party line. The best-known group were known as the Edelweiss Pirates who drew members from working-class families in cities such as Essen and Cologne. They refused to wear the uniform of white socks, white shirts, and scarves, rather opting for long hair and casual clothes. They delighted in mocking the official league songs and developed their own parodies of these songs. The Edelweiss Pirates moved from mocking the official leagues to acts of sabotage, and in October 1944, seven members of the movement were publicly hanged in Cologne by the SS. The exhibition shows that many members of the Youth League and the BDM were sympathetic to the Edelweiss Pirates but were too frightened to take that last step to join the rebels. Wilhelm Stratmann, who is the head of the Bielefeld Museum, where the exhibition is being staged described how it was next to impossible for children not to be lured into the leagues. He described how these leagues ensured children followed Hitler with blind obedience and ensured that Hitler’s war machine was constantly fed cannon fodder. Boys as young as the early teens served in the 12th SS Panzer division which saw service on both the western and eastern fronts. The head of the Nazi Documentation Centre in Cologne, Juergen Mueller, described how at its peak the Hitler Youth boasted some 8.7 million members. These children were basically forced to join whether they wanted to or not; though many were fascinated by the idea of camping trips and singing songs around a campfire. 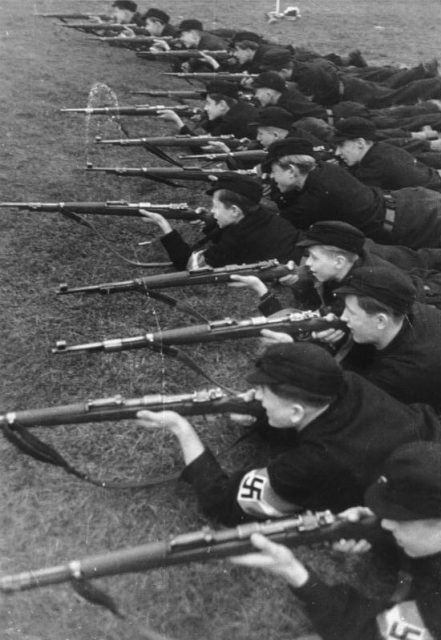 Young Germans gravitated towards the various branches of Hitler Youth movement before membership became compulsory because the Leagues offered them a degree of autonomy from their parents and gave them a sense of pride and power at a time when the entire German nation was under severe psychological pressure. The liability for Nazi crimes could not always be pinned on the Youth Leagues, but they were certainly complicit in many of them.